“Our generation made their money tearing our world apart, your generation is going to make your money putting it back together,” declared authors of the social entrepreneurial book, Making Good. Authors, Billy and Dev — a Yale University drop out and the founder of Dream Now, are describing their generation’s (the non-millennials) negligence of social and environmental sustainability within the time of their economic development period. Capitalizing on this new movement, many economists are quick to study the innovative accounting methods proposed by the GRI (Global Reporting Initiative) in order to effectively measure the triple bottom line. It seems some people have realized we must make a change in business in order to continue living on this earth. Groups of ambitious and inspired people from around the world, now known as the millennial generation (often misconstrued as the “entitled generation”), began congregating to push this movement forward, especially upon the non-millennials, whom were so reluctant to change. Money is needed to entice the non-millennials to consent to this movement, provide resources, and provide social clout, hence why the measurement is called the triple bottom line, rather than double. Former US President, Bill Clinton, said it best, “NGOs and non-profits are not the answer, social enterprises are.” This is due to the lack of economic profit that creates a dismantling in long-term sustainability. Therefore, social enterprises have been the impactful force that has been the face of success in this social movement. The social enterprise is a for-profit model that “does good.” They are popping up along side of sustainable and social conferences and competitions all around the world. 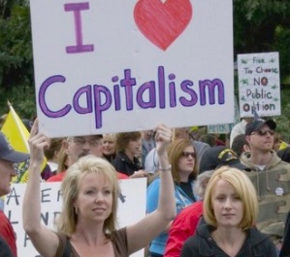 This movement has generated a high demand for social economists everywhere. Adept social economists are sought after to help steer this movement into a long-term success. Who will be the social economic trailblazers that we will be talking about for years to come?